The most most common type of entity involved in private M&A is the Private Limited Company. But others like Sole Proprietorships, Partnerships and public limited companies can also engage in M&A activities. In some cases, even a private subsidiary of a public limited company could be used as a vehicle to acquire another private entity. 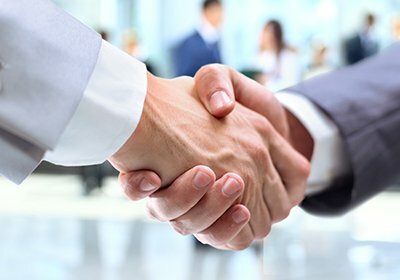 a joint venture whereby two or more entities cooperate for a particular common business goal either by participating in an incorporated or registered vehicle or by way of an unincorporated arrangement. Here is an overview of the key aspects involved in share and asset acquisition. This is to ensure that the seller does not solicit or consider offers from potential competitive bidders. M&As are resource and time intensive. Therefore, buyers would prefer to lock out other potential buyers from the target company to maximise the success of the bid. The exclusivity agreement has a limited validity, and it cannot be perpetual as the target companies would also prefer not to be locked out of other lucrative offers. The seller is under no obligation, on account of the exclusivity agreement, to accept the offer or enter into discussion with the offering party to conclude the transaction. Any breach of the agreement by the seller could draw legal action from the buyer who could claim damages for the time and expenses incurred. NDA is an agreement to be concluded in the early stage of the transaction prior to sharing of confidential business details and business information. This usually takes place prior to the commencement of due diligence process as most of the information exchange happens at this stage. Learn more about the essential tasks involved in a financial due diligence before proceeding with an M&A deal. The parties must define what constitutes confidential information and the purposes for which such information can be used. The agreement should also list out with whom such information can be shared and if the information should be returned or destroyed if the deal does not go through. The buyer must undertake to maintain confidentiality in exchange for the information. Damages can be claimed in the event of a breach and an injunction can be sought to prevent any further unauthorised disclosure. Share acquisition can be effected through a simple share sale agreement and a transfer form. In contrast, asset acquisition is tedious as all the assets must be individually identified, assessed and transferred separately and some asset transfers may require third-party consent. Asset transfer would require legal warranties and indemnities to be negotiated and agreed between the buyers and seller. Yet the minority shareholders of the target company may have to be identified, engaged and negotiated with to conclude the acquisition and this can be onerous for the buyer. In the asset acquisition, the buyer can be selective on what assets to buy, and he can filter out those with entailing liabilities, litigations and encumbrances. Such a facility to choose is not available in a share acquisition, in which all assets, liabilities and encumbrances of the seller are transferred in entirety. Share acquisition has nil or minimal impact on contracts concluded by the seller with third parties such as customer and suppliers. The contracts will be ongoing and binding even after the acquisition. However, the buyer must diligently scrutinise the contracts for a ‘change of control’ clause that may confer the counterparty with the right to terminate the contract if there is an ownership change. However, the contractual rights and obligations may not be conveyed to the buyer in the case of asset acquisition. Although the buyer can selectively seek some of the contracts to be novated or assigned, in some cases, these may have to be renegotiated and new contracts signed between the buyer and the counterparty. Share acquisition has minimum impact on the employees of the seller. The employment contract concluded by the seller continues to be in effect and valid under the buyer after the transfer. The buyer should examine the terms of the employment and may need to renegotiate to retain key employees or to redefine the terms. In the case of asset acquisition that involves a transfer of a business undertaking the seller must consult the affected employees as well as the trade unions, where relevant, before effecting the transfer. Unabsorbed losses of the acquired company might be available to be carried forward in the case of a share acquisition for set-off against future income, subject to the shareholders’ continuity test. Even if there is a substantial change in shareholders, the buyer may still be able to carry forward the unabsorbed losses if a waiver is obtained from the Ministry of Finance. There is no such access to the unabsorbed losses of the seller in the case of asset acquisition. Moreover, GST may be charged on the sale of the assets while there is no GST charge on the sale of shares. Share transfer is a clean departure for the seller but the asset transfer will still require the seller to liquidate and strike off the company, and this would cost the seller additional time and money. Share transfer will cost stamp duty of 0.2% on the higher of the consideration paid or value of the shares. However, asset transfer will require a stamp duty of up to 3% to be paid on the value of the assets. Seller’s stamp duty may be due on certain disposals of residential and industrial immovable property. Additional buyer’s stamp duty may also be due on the purchase of a residential immovable property. Get a quick overview of the dos and don’ts on maintaining accounting records. Consideration may take the form of cash, shares in the company of the buyer, loans or a combination of all or some depending on the availability of finance, liquidity of the buyer’s shares, tax implication and leverage ratio of the seller. The Warranties and Indemnity clause is included in the purchase agreement of both share acquisition and asset acquisition. In general, both the seller and the buyer will give fundamental warranties confirming their capacity to enter into the transaction, their due incorporation, validity, and solvency. The seller will also give fundamental warranties in relation to its title and ownership of the shares or assets. Specific and general liabilities can be included for known obligations and breaches leading to the loss. Warranties will be subject to disclosure hence no claims can be made against the seller for losses arising from matters already disclosed to the buyer. The time limit to claim under warranties, usually, a maximum of 24 months, must be negotiated and agreed between the parties and claim is usually the loss or damage suffered. Economies of scale, staffing efficiencies, expanding the market reach, and accessing new technologies, are some of the reasons M&A in Singapore happen. Use our expertise to ensure your M&A deals go through without a hitch.